If you could miss out all the learning and mistake making parts and skip straight to the money making parts you would, right? I can show you what I've learned as an affiliate from making $90,680.75 in commission to date just on JVZOO.com. And that does not include bonus prize money from winning affiliate contests (I estimate that's worth another $25K at least but I've never recorded it). And it doesn't include commissions from the other affiliate networks I use like Amazon, Clickbank, W+, Commission Junction, ShareASale and more. Whilst I've made a lot of commissions on JVZOO I've also made a lot of mistakes too that have cost me further commissions. So by reading this quick and easy affiliate lesson guide you can not only learn what worked and copy the successful parts. But also learn ALL of the mistakes I've made and avoid those for yourself. And don't worry if you're not promoting products on JVZOO. As the simple affiliate lessons here apply to whatever affiliate network you use, especially if you promote digital products. Your customers love products launches. That's probably no surprise to you, right? There's the excitement of a new product and system. Your customers hope that they are going to discover some brand, new, system, no one else knows about that will solve all their problems. And they WILL if you promote the right ones. There's also the scarcity and fear of missing out when the launch is over and the price rises or the product goes offline. Launches flat out work and you'll make far more money in the few short days when a launch is on than you will from months of promoting an evergreen product not in launch phase. And you will be amazed how little sales you need to make to hit the top 10 leader board and get some bonus cash (more on that below). So get involved with product launches as an affiliate, as not only does the buzz of the launch encourage more sales. But on a mid level or smaller launch, even a handful of sales can land you in the top 10 on the affiliate contest. It mean's bonus cash prizes! I've came in the top 5 sellers when I first started as an affiliate in the online marketing niche with just 20 sales. And I netted a few hundred dollars in bonus cash because of it. You could too with surprisingly few sales. Usually only the top 3 sellers are the ones sending the HUGE volumes so don't be put off by thinking everyone else will out perform you. Just make sure you are not 100% reliant on launches and especially not bonus income for all your income. As if a launch doesn't go to plan and you don't make much or any money...you're in trouble. If you only mail once or twice you won't make nearly as many sales as if you promote daily through a product launch period. I typically mail 3 times on launch day, twice a day throughout the launch, then 3 times again on the final day. If you just send 1 or 2 emails it doesn't seem like you fully believe in the product. I talked about using The Crush Campaign on a recent promo which involves heavy, daily mailing, which you can use as a guide. There's an age old marketing adage called “The Rule of 7”. developed by the movie industry in the 1930 to increase movie sales. They figured out the average person needed to see their movie trailer or ads 7 times before they went to see the film. In marketing terms it means a prospect needs to be exposed to your advertising at least 7 times to compel them to take action. Now not everyone needs 7 exposure to buy, some will on the first exposure. But the point stands that not everyone will purchase the first time you recommend them a product. The more you show them your marketing message the more chance they will buy. Typically the bulk of all sales come from day 1 and the final day but the days in between add up to a substantial amount too so mail daily. Picking products isn't difficult when you know the problem your audience have and what the solution is. You don't go hunting for 'good affiliate products' or 'high converting products' you go figure out what your audiences problems are and how to solve them (you should already know this). Then you find products which solve these problems. But make sure it IS something your audience actually needs and solves a problem. Just because it's a high selling product and good doesn't mean your audience actually need it. There is endless choice of good products that they do need in most profitable niches. So simply match their need with a high converting and profitable product that you'll make money from. They get their problem solved and you make some commission for your time and work. You may find the perfect product but it doesn't convert well...should you promote it anyway? Tricky one but probably not. Because if it doesn't convert (because of bad sales page or other reason) then few people will buy it and then fewer people get their problem solved which doesn't help either. The more people getting their problem solved the better. So find a balance of problem solving product that also converts or you're wasting everyone's time. If you're anything like me when I first started doing affiliate promos I'd pick one angle and run with it through the whole campaign. Every email would basically say the same thing over and over again in a slightly different way or share the same results but with a different headline. No one wants to read the same thing time and time again. Take a different approach in every email. Go with results, testimonials, stories, tell them what they'll gain by purchasing, tell them what they'll lose by not purchasing. I mentioned this already but you should mail hard on the first and last days. It's where the bulk of your sales will come from. Typically 20-25% of all sales I make will be on day 1. And on occasions up to 50% have occurred on the final day (particularly with a mid range product of around $199-$500 but also with low end $7 where 20.98% of all sales on average come on the final day. People either want to be the first to buy into a new product as they get caught up in the excitement. Or they hold off until they are forced to make a decision through fear of missing out, price rises or products going offline. Until recently I had no process or direction for writing promo emails. It was totally hit and miss what would come up. Emails with no structure that could either be a hit or a flop. Then after buying The Commission Machine by Michael Chenney (this product is one of the best I've ever bought) I learned about email types I never used. And it also occurred to me that you could actually template-ize your emails in many instances. So I set about finding or creating email templates. Others were templates using proven copywriting techniques like the 60 Seconds Sales Hook and PAS Formula. The “results” and “bonus” emails were born among others. Download these templates and use them. If you're already having some success with affiliate promos check your own emails to see if there's any common email types you send that can be made into templates. I touched on this above but really even studying some really basic copywriting techniques will instantly make you sell more. When I started implementing the 60 Seconds Sales Hook and PAS formulas into every email promo I did my sales increased massively. The 60 Seconds Sales Hook emails. as shown below, now account for 9.66% of all sales on average on a promo. And the PAS Formula 9.70% on average. They work time and time again. Do you know the Early Bird technique to beat other affiliates to the punch? Usually you can get your affiliate link in advance before a product launch has even started. When someone clicks it it will either go to a blank page, a “coming soon” or an optin page rather than the sales page. So they can't buy but they are already “cookied” with your affiliate ID. That means you've got the jump on most other affiliates who won't email until launch time. Early bird emails mean a much higher chance of you being credited for the sale when they do buy. Pre-sale / early bird emails account for 14.54% of all my total sales on average on promos – can you ignore that? Send out warm up emails, which build up the curiosity of the launch, for 2 to 3 days in advance and include your affiliate link that leads to the opt in or coming soon page. Then when the launch finally kicks off you're already ahead of 99% of other affiliates as you've already got your cookie set. The more you know about your audience, about their motivations, problems, and what makes them tick the more you can relate your promos to them. Just think, would you respond more to a generic email that says nothing to you personally or one that really resonates with you and your situation? And I don't just mean using “personalisation” like their names in email. But knowing things like their frustrations, what they struggle with, why they want to succeed, how they feel. Work 50 hours a week. But can't make more than $100 online. ...then you can use this information in your emails and show them how these problems can be solved via what you are promoting. You can also relate to them by showing how you have been in a similar situation in the past (assuming you have been). The more you know about them the more effective your promos will be. Survey them using free Surveys on SurveyMonkey.com and ask your email list and social media followers. There's a single email type I use that accounts for 18.78$ of my sales on average. There's nothing people like more than PROOF. Show them what you are recommending / teaching them works. Videos of what you're teaching in action. I always show my own results or results from my tribe in my promo emails, they account for 18.78% of all sales on average. A while back an affiliate manager asked me if I wanted a discount code to give to my audience. I said sure why not. The discount was for a whopping $1! The product only cost $7 so I didn't think this $1 discount was going to generate much sales. I had a surprise in store. I sent out an email offering the $1 discount....and in the end it resulted in 20 sales or 12.90% of all sales in that promotion. If you can get a discount from the vendor then use it. A simple way of selling anything is by telling people what they have to gain by purchasing. Seems pretty obvious now, doesn't it? 61% of all sales on average come from my simple and short email about what they have to gain. I use DigitalMarketers template from the gain, logic, fear series. If your whole income and business is reliant on affiliate commission and even worse on doing well in affiliate contests to win bonus cash prizes you're in trouble. I was in this situation for a while and I'm not completely out the water yet. For a long time I had to do well in affiliate promos and win some bonus cash to have a profitable month. If I didn't get involved with an affiliate promotion I hardly made any money as that was my sole income stream. But what happens on the months when there's no good or suitable products being released? Or you don't have time to write an email promotion? Maybe you're sick, travelling or taking a break from work. How about if you promote and the launch bombs. Or it doesn't convert well for you because so many other super affiliates are on board? You're going to be broke that month so have back up income from your own products. Like my membership site for example which brings in passive income.. I've promoted a “guaranteed” big launch and it's flopped. No one made any money. I've been out-gunned by other super affiliates and barely made any commission and no cash bonuses. Have evergreen sales funnels in place with evergreen affiliate products or your own digital products that run on auto-pilot when someone opts into your website / opt in page. Each email I send out is a different type. And yours should be too or you'll bore your audience to death. I've touched on it above with the email templates but here's some more info. Most affiliates just try and hype everything to death. "My buddy Mr Guru just released a brand new, revolutionary, never seen before product that will make you $XXXXX whilst you sleep, you better get it now before it's too late because in 30 seconds the price will quadruple and then 5 minutes later he'll delete the product from the internet"
Works to an extent for a limited period of time but everyone is doing it and it just becomes frustrating after a while. I.e. if the product is NOT going offline don't say it is. Keep it realistic and don't make exaggerated claims. Because when you tell people the price is rising or that a product is going offline...many people check after to see if it's true. And when they find out it's not they stop trusting you. Sometimes it's hard as an affiliate as vendors aren't honest with us either. They say it's rising in price or going offline then it doesn't. So be cautious and check what the vendor has done on previous launches. The difference between a promo where the affiliate has used and can vouch for the product is a world apart from one where they have no idea what they are promoting. You can see the difference a mile away. A typical promo when a product hasn't been used is filled with generic emails that don't really tell you anything, you know the type..
You should buy it now before it's too late..
Where as one where the affiliate has used the product will go into specific details and really dig deep into what benefits it has. Promote what you've used and had results with....haven't had any results from any products? At the very least go through the product before you promote to get a good feel for what it is, how it will benefit your audience, and what it does. If you find out that it isn't really that good....don't promote it regardless of how much you'll make. Think of the long term, you make money today, but next week no one wants to check out anything you recommend as you gave them junk last time. Bonuses are a strange one. Most affiliates say they are essential and many tell you to focus on your bonuses over everything else as this will be what differentiate yourself from every other affiliate. I often forget or don't have time to create bonuses for affiliate promos so simply don't. I've won affiliate contests without them. But it make sense to include them. The best bonuses are ones which compliment the main product and even better if they can speed up and make easier the main product. I keep it simple most of the time – I create bonuses from my blog content, lead magnets, or membership site. Or create something original if I feel it will be a real benefit and can be done quickly. I will also re-use bonuses and re-purpose them from previous launches if they are relevant. But for me bonuses aren't as important as many affiliates say they are and definitely not the focus of my campaign. However I still recommend you do use them wherever possible. There's no need to lie about a product or make it out to be perfect. I doubt any product is, all have downsides. So highlight the problems and downsides of the product and people will see you're not just trying to sugar coat things and make it all out to be good. When you figure out the con's of a product you can create bonuses that fill in the gaps. This makes both the product and your bonuses more valuable and you instantly more trustworthy. You're giving the good and the bad and it shows you've actually checked the product yourself instead of promoting blind. Nothing worse than sending your audience through a sales funnel with 17 OTOs or that simply doesn't work and leaves you stuck in an endless loop of sales pages and not able to access your product. They'll just get frustrated with you and the product vendor. Go through the funnel in advance, take note of what's on offer, see if anything annoys you or doesn't work right and note it in your promo or let the vendor know so they can fix before you promote. Your audience will love your honesty. One of the most common questions I'm asked by my audience is “What are the OTOs / upsells." People want to know before even considering purchasing the main product. But so few marketers mention them, probably because they haven't checked or went through the funnel to see. Your audience like to know what they might be expected to spend before making that initial purchase and what's on offer and how necessary it is. So find out and tell them. You see what looks like an epic launch. Incredible looking sales page, high converting sales copy, strong EPCs, high commissions, lots of top name marketers involved, tons of buzz around it. You think it must surely be an incredible product so you jump on board without checking it out properly or testing it fully. For example if it's a software you just have a quick look through it and decide it looks good and should probably work. Then a few days into the launch it becomes clear there's a massive bug, it doesn't work as advertised or it's got a security hack for example. They will never trust you again. Make sure you know EXACTLY what you are promoting at all times. Stick with tried and tested vendors with a solid reputation, low refund rates, and who offer good support. Without an email list you are going to struggle to sell many affiliate products. Product reviews on your website or blog, social media promotions or traffic direct to offers can result in some sales but nowhere close to an affiliate promotion via email. All my promos are done via my email list and it consistently gives me the best ROI. There's a reason why every super affiliate has an email list....it works. 23. Are You An Opportunity Seeker? You might have read some big marketers telling you that you should be selling in every email. It's debatable whether that's the best long term strategy. For example one of the biggest and best email marketers is Ben Settle. He promotes in every email but he does it in a non hype-y, no sale-y type a way. He educates, entertains and amuses and sells that way. He also tends to mostly promote his own monthly email newsletter subscription. Then you've got another email marketing giant....Andre Chaperon. He hardly ever promotes but when he does you trust him because of it. It totally depends on your business model and what you're selling. If you're promoting a different affiliate product every day you're just going to look like a chancer looking to make a quick buck. Very quickly people will lose trust in you. But with their higher commission payouts you can easily make much more money. Higher end products tend to be more complete systems than the cheap $7 ones giving more value to your audience. Don't write off promoting higher end courses and products, many of your audience WANT this stuff and have the ability to buy it. As it can come back to bite you. Validate them before as you'll ruin your relationship with your audience if vendors you vouch for aren't quite as ethical as you. So pay close attention to all the stats. And check past history with the vendor to see what stats on his previous launch look like. I plan my promo calendar out at the end of the previous month where possible. That way you can plan out your promo dates, think about what you'll write about, do your research on the product and vendor if you need to. Then you can gather testimonials from your audience and work out their problems in relation to this product. Then create your bonuses and structure your content around your promos. Which results in a better and more profitable affiliate promo than a last minute rushed affair. If you're just promoting for the sake of making yourself money you're screwed. And YES, both you and I do this for the money. It would be a lie to say otherwise. This isn't charity or some hippy dippy bullsh*t about making the world a better place. It can't just be about YOU and the fact you want to increase your bank balance. You have to help other people get what they want for them to give you what you want, i.e. the money. And most of your audience will not have a problem with you recommending stuff to them if they know you have their best interests at heart. The ones that have a problem are the ones you don't want in your audience anyway, they probably just want everything for free and don't plan to buy anything. However if you are promoting simple because YOU want to benefit and make money from them they are going to get annoyed quickly. So promote but promote wisely. Pick products which will best serve your audience and solve their problems. And be sure to be honest and deliver value in every promo email you send out, that way your audience won't mind being promoted to. 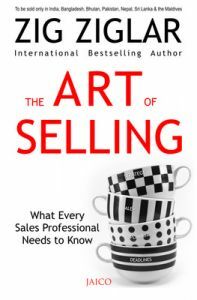 A lot of us, at some point or other, have a real issue with selling to our audiences. It doesn't come natural and feels slimy. Like we're a used car sales man trying to trick them into parting with their money. It's pretty natural but a dangerous way of thinking. You should not be afraid to recommend HIGH QUALITY and PROBLEM SOLVING products to your audience. Remember why your audience came to you? They have a problem and they need a solution. They asked you for help. If you don't recommend them the products which can solve their problems they might never get that help. And some other dishonest marketer might falsely recommend something else that won't really help making them worse off. Your job as a marketer is to guide them on the right path and help them solve their problems like they've asked you to. If you don't then you've failed them and failed in your job. ...when you are giving them products which solve their problems”. It's only bad when you're selling them something they don't need that won't help them. Selling Ice to people who live in Igloos isn't cool, yo! Remember they came to you for help so you owe it to yourself and them to get these problem solving products into their hands. I used to think that no one would buy high end products if I recommended them as most of the stuff I promote was at the lower end of the spectrum. But I've sold courses that cost up to $2,000 before and everything else in between. Many people in your audience have the ability to buy higher end courses and products. And are actively looking for them too as they are a more complete solution over a $7 product which teaches part of the puzzle. Your audience will often thank you for it. Some of my happiest audience members are the guys who have bought more expensive products on my recommendation. A little “hack” I do before any promotion is to get feedback and insights from my audience on the product and vendors I plan to promote. This works great on relaunches of products and courses where members of your audience have bought before. You can get their feedback on it, good and bad, and use this in your promo. It allows you to get testimonials from them. And also to address any issues they have with the product or vendor in your promo emails. And to fill in any gaps or missing info they feel there are. If none of them have used the product before or it's new you can get their feedback on the marketer. You can also ask them their biggest struggle or problem with whatever the topic of the product is. For example if you know you're going to be promoting a product about Amazon FBA. You can ask them what they struggle with, why they haven't got started with it, what their objections are and then address it all in your email promos. It helps you write emails that relates to your audience and makes you more money. Don't have your own audience yet? No problem (though you should be building one ASAP) just go to forums or social media groups in your niche. Or even the one related to the marketers who's product you're selling and ask the questions there. Just by scrolling through the FB groups of online marketers you can get huge insights into their customers. Some email marketers recommend writing promo emails as they come as things change throughout a launch but TBH I don't feel they do much. I write them days in advance and have them scheduled up. The only problem that could arise would be the launch being cancelled but if you're promoting tried and tested marketers with lots of launches under their belt this shouldn't be an issue. And should you be short on time the days during the promo your emails are already written and lined up. I see no great advantage to writing on the fly. Batch write all your emails when you're in the zone. They will flow better and you'll get them done quicker. Launches make the most money BUT they aren't a long term sustainable business model so be sure to mix them in with evergreen promotions and sales funnels with your own digital products. You must email multiple times to get the maximum amount of sales as your audience needs to be exposed to the product more than once or twice. Look for products that solve your audiences problems first then make you money second. Create email templates and fill in the blanks on every promotion – it works and will speed up your time spent on writing promo emails. The first and last days are the absolute best days to make sales and will be where the bulk of your sales come from. Learn copywriting and practice it often – you will become a better writer and sell more affiliate products. Share real life results and examples – people want proof. Bonuses are good but they are not essential. Use them where possible and make them unique and compliment the main product or make up for any short falls it has. Don't be afraid to promote high quality, problem, solving products, as your audience come to you for help so it's your duty to get these products into their hands. Some people in your audience WILL buy high end course so don't only promote low end stuff. Be honest about the products pro's and con's and give it a fair appraisal. People appreciate honesty. You can promote every day if your business is set up properly but if every day is a pitch for a new affiliate product and you're hyping it as the best ever – you're doomed. Use your audience feedback, dreams, pain points, desires and points of views in your emails – it will make your emails relate to them more and make you sell more. In this post I've covered my 31 biggest affiliate lessons from making $90,680.75 in affiliate commission to date, just on JVZOO alone. I hope it's been valuable for you and given you some insights into what it takes to be a successful affiliate. As well as steering you away from the common pitfalls and mistakes most us make at some point. Now the only thing left to do is for you to put them into action for yourself. Which of the 31 lessons can you make money from today? I am replying to you both because I think the story here is of Stuart but it is shown as written by Nadir. Any It's a great post with lot of values and lessons for readers. I personally have never done this sort of affiliate marketing however I earned around $6k from Teespring campaign using facebook Ads. So I got pretty excited and started learning about web dev, Content Marketing, SEO , monetization and that's how I found your blog. So here are my queries. 1. I think this kind lessons can be better applied to IM niche because there continously some big launch happening . In Niches such as Health , Beauty you'll be really hard pressed to find quality product launch and moreover you cant send amazon affiliate links in email promotion. 2. I am finding little daunting in security aspect of my site. can you suggest any plugin/tricks from your experience? Hey Ray, yeah post is by me Nader just scheduled it. Good work on earning $6K from TeeSpring...are you still doing it? 2. In what sense? Use a secure host, back up your site regular and you should be fine. From what i have seen if you are targeting using facebook ROI Keeps decreasing with time. better to start a new one. Yes i am just trying to find the right niche for my next campaign. first campaign was in environmental niche. About protecting the site i wanted to know about any plugin like wordfence, ithemes etc. Nice post you have here for us here, Stuart! The lessons that taught me the most are the ones were you recommend to email often during product launches and to not be afraid to promote products when you have to and think they will help your audience. I also liked the one that tells us to promote high end products like online courses and evergreen products (not just launches). I'm going to implement some of your lessons, use those promo templates (and create my own) and plan, write and schedule ahead as well. Had to leave a comment and thank you for such a value packed post! Came across this from Matt Woodward's monthly round up. Thanks Mike, I will have to check the round up out. I'm planning to start promoting Jvzoo products ad i must say that this guide is timely, going to print it for easy reference. Video marketing is growing every day. I have seen that the top selling products at JVZoo are video marketing software like videomakerFX and EasySketch Pro. Without much equipment, everyone can start a youtube channel just with these softwares. Yeah, I've seen that. Video marketing tools always sell well as they have wide appeal. I am new in this field and don't have much knowledge but this post covered all I needed to know to boost up my affiliate sale. Glad it was useful, which number was the best lesson for you? Thanks again for your very thorough post. My biggest takeaways were using templates for my emails and also the Early Bird emails. I did not realise that I would be cookied with these. That is just brilliant. One other really important thing I learned is that I really must spend more time on my campaigns. More quality less quantity. One disappointment was that your 101 affiliate hacks is no longer available from the link you posted. The early bird trick is a good one, you can have your cookie set days before anyone else has even mailed. omg..thats amazing affiliate earning !!! really inspirational ..
Glad you like it. Which lesson is most effective for you?